…It’s still anyone’s guess…but we are getting closer! 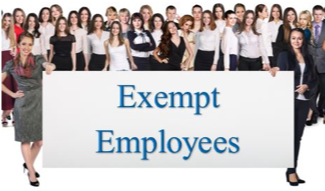 On March 7, 2019, the U.S. Department of Labor (DOL) issued a news update concerning the new salary levels for employees to qualify for the Executive, Administrative, and Professional exemptions under the Fair Labor Standards Act (FLSA). The news update acknowledges that the current salary level of $455 per week, in effect since 2004, needs to be increased but not to the level that was required by the Obama Administration in 2016 ($913 per week). The Department is proposing to adopt a salary level that uses a clear and predictable methodology for employees and that will also comply with the FLSA and the recent court decisions concerning the Obama Administrations regulations that were invalidated by the United States District Court for the Eastern District of Texas. The rule was submitted on Appeal to the United States Court of Appeals for the Fifth Circuit but was being held in suspension. The automatic updates contained in the 2016 rule will not be adopted. Instead, the DOL proposes to update the earnings thresholds every four years to prevent the levels from, once again, becoming outdated. Learn much, much more in Vicki's courses on Illumeo. Vicki M. Lambert, CPP, has more than 35 years of hands-on experience in all facets of payroll, including wage and hour law and tax compliance and is a prolific author, trainer, and lecturer.